Please make sure you have known the dimension of the item you want to order. 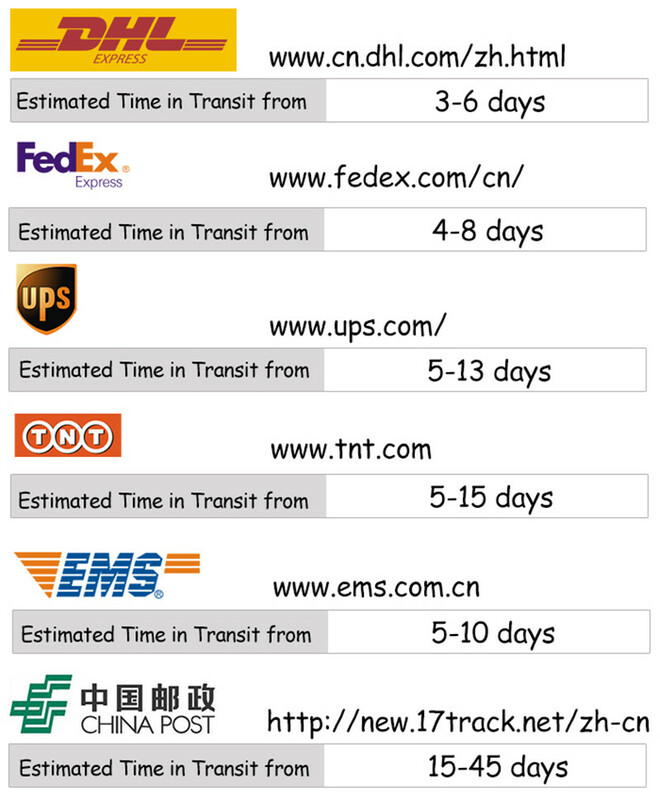 Your order will be shipped by China Post Airmail, it usually takes about 15-45 days to arrive in United States, Europe and other places all over the world. If the Items you purchase with an amout over $200, we will send them by EMS or DHL or other express shipping method, the items will arrive much more faster, if you want to choose your own carrier, please contact us. Notice: Please email us the MTCN( Money Transfer Control Number) number and your specific address along with your phone number after finishing the payment.